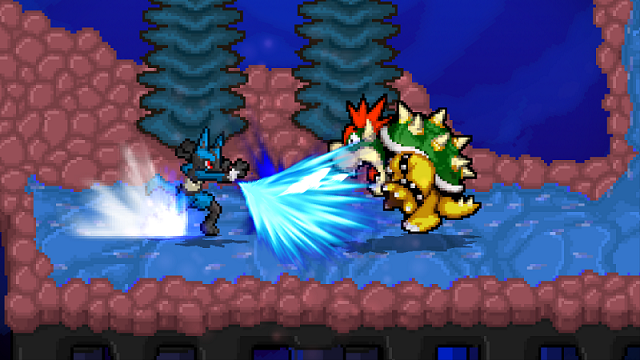 You can now choose to play as Lucario without the Aura system! This version of Lucario will have consistent power regardless of his percent and stock deficits, making him a more consistent character! Have a lead? You've still got your strength! Marth gets the treatment as well! Prefer Lucina's lack of a tipper mechanic? 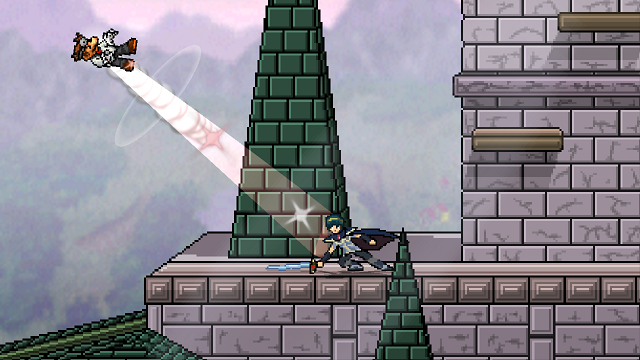 Now you can play Marth this way in SSB Crusade! Hit the opponent in close? It's still powerful! This version of Marth has hits powered between the normal mid-blade and tipper strengths, with knockback angles following normal mid-blade angles. One exception, his down air, will be a meteor when playing as Spread Marth. Try out this alt for a more beginner-friendly and consistent experience! 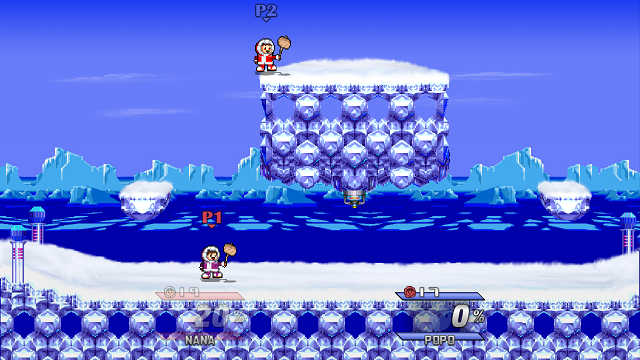 You can even play as a solo Ice Climber! When played alone, the Climber will have increased damage output, combo potential (especially off throws), and kill power, making your Climber a formidable foe even without their teammate! Prefer to play as Nana? We've got you covered, check out the names on the HUD! Nana and Popo will play almost identically, with the only difference being Nana's lighter weight. We've also buffed the solo Climber's special moves to help stand a fighting chance alone. Neutral Special for example has reduced ending lag, allowing a faster rate of fire and a projectile that can be combo'd off of! Down Special will not be escapable once an opponent is caught, and the final hit of the blizzard will pull them inward for a combo followup! Wondering how you will recover without your partner to Belay? The bird has got your back in this new Solo Climber exclusive Up Special! What new forms would you like to see in v0.9.1? Let us know! We have noticed some confusion lately as to the nature of alternate playstyles, what qualifies, what does not, and the difference between them and character alternates. To clarify, an alternate playstyle is a change to the programming and mechanics of a character to alter the way that character plays, without creating a new character or moveset or any new sprites. New sprites and movesets are required for alternate Characters such as Evil Ryu and Pichu, and as such they involve the same workload as entirely new characters. Alternate playstyles have a fraction of that workload involved, expanding the replay value and variety of the game without delaying its release. Have an idea for an alternate? Let us know in the comments below! This looks amazing! I REALLY can't wait for 9.1 now! Keep up the awesome work guys! Woah, this is crazy! In a good way. Neat concept, and can open the door for certain gimmicks to be optional in the future. The only (currently playable) character I can think of that could work is Kirby - giving up Inhale for a permanent power. That's the theme I got from these forms - trade your unique ability in order to have a more consistent experience. Hmm...what about Pichu? He could forego damaging himself for, I dunno, maybe an overall nerf in offense or defense, and maybe different side and down specials (since I think those moves sort of rely on his self-destructive attacks). And assuming Wright's moveset stays the same (despite the awesome overhauls that Roy suggested in the Wright thread that I think needs to happen), he too could have an alt version that gives his side special consistent power and use instead of having him focus on building Take That's "meter" through Objections and Hold its. Obvious drawback would be the removal of his strongest KO move. We really wanted Smash 4 for a year. We waited a year. It's not the dev teams problem if you literally need 0.9.1 right now. Obviously the next version would be out if it was done and bug-free, why go through constant bug-fixing and such for likely a month just to release a mini-patch because some fans cant contain themselves? Also, uh, why would we have a 3rd form just for some Project M moves..
Lucario's pretty vastly different in PM, actually, he's designed as more of a traditional fighting game character. 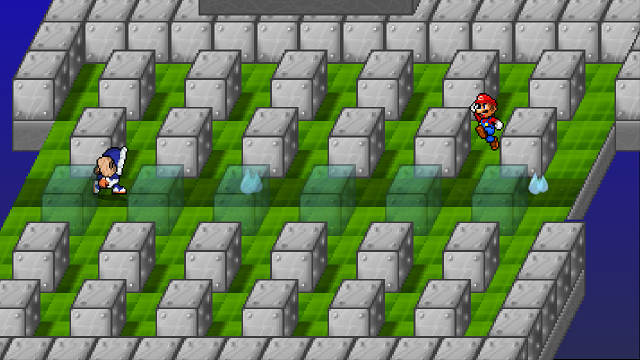 Could we maybe have a Luigi variation that has a consistent Missle Distance + Power but can't Charge or Misfire? Maybe a Kirby variation that gives a new Neutral B instead of Inhale for consistency? Possibly Geno without Stat Buffs but with a tad bit higher Offense/Defense to compensate? Or maybe Pichu with weaker stats but won't hurt itself? Game & Watch with permanent but weaker 6's on the Judge Attack! Ganondorf with his Original Smash Series Moveset! Mach Rider and Wario without their Bikes! PAC-MAN without the 4th Wall to assist! Give Gliding Characters a more Horizontal Recovery and removing the Glide! Sm4sh Mega Man/Little Mac/Pac-Man/DHD/etc. was my first thought. Has anyone else noticed the new hands? Sorry for being as bit impatient, but if there's any way we could even get a TASTE of what is to come, it would be appreciated, at least by me. You are currently talking about this on an update from the development team released days ago. What? If there was something ready to be released, it would have been released already. Continue to be patient and we will release news when we are ready to. Thank you. There IS a dev blog. There is also a twitter and Facebook. It is your own fault if you think that the dev's aren't updating us. And because that is a waste of time that can be devoted to an entirely new character? For an alternate form suggestion, how about 2 forms of Goku? 1 where his down special is his kaioken, & the other would be where his down special is changed to a fast counter attack? If you're wondering how his alternate final smash would work, you could just make an alternate form of the counter attack goku that has his dragon rush instead of his spirit bomb. The reason I'm asking for this is because I rarely even use kaioken & I main goku (& no I'm not that kind of person who just spams kamehameha over & over again) also this would FINALLY give him differences from his super smash flash 2 counterpart in 0.9.1 other than his final smash! Toad's Up and Side Specials from earlier Crusade installments. Toon Link's Triforce Slash Up and Down Specials from Brawl. A Pichu that doesn't receive damage from it's own electric attacks (too obvious). Pichu's Side and Down Specials from Melee. Pikachu with Eletroball as Side B similar to the way it does it in the anime. -Moves that have a "shocking" effect: Samus's Charge Shot and Screw Attack, Fox and Falco's Blasters and Reflectors, Porky's Up Smash, Mewtwo's Nair, Ashley's Hocus Pocus, Ness and Lucas' PK Thunder, etc. In exchange for receiving more damage from physical moves. Ganondorf receiving less damage from physical moves but more from blades and beams. Mewtwo/Lucario/Ganondorf/Evil Ryu/Kaioken Goku/Ness/Lucas/Shadow gaining Final Smash meter just from standing still. Normal Goku by powering up. Ground attacks have better priority than Puff's average but deals next to no damage and knockback and I mean next to none. Picture an Igglybuff viciously pouncing on your head and you don't feel a thing. That's what I'm going for with Jigglypuff here. I always pictured Igglybuff to be like this if Sakurai were to pull another Pichu. 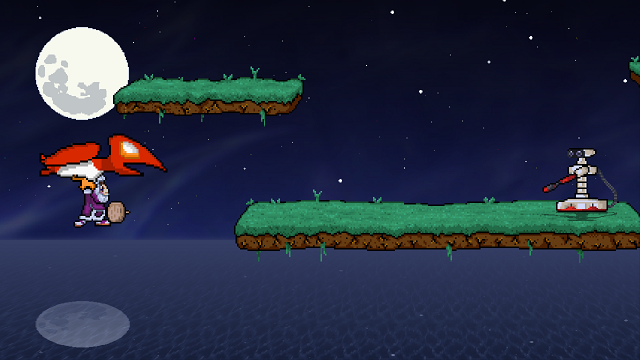 Tails swiping his tails forward (F tilt) to reflect projectiles. Keep it as a F tilt or make it a Neutral, Side, or Down Special. on Fri Mar 25, 2016 2:57 pm by Tech.3. on Fri Mar 25, 2016 3:02 pm by Tech.3. also,how about a Pichu(Damage-less) or a Glass Cannon version of a hard hitter character? on Fri Mar 25, 2016 3:04 pm by Tech.3. or a ssb4 version of Fox? How about Krystal using an entirely staff based moveset and the other moveset be guns? Maybe add a couple more veterans, like Zelda, Sheik, Pit, Charizard or Greninja? Netherless, keep on going! Maybe Pac-Man could have an alternate formation in which he would have his Smash 4 moveset.